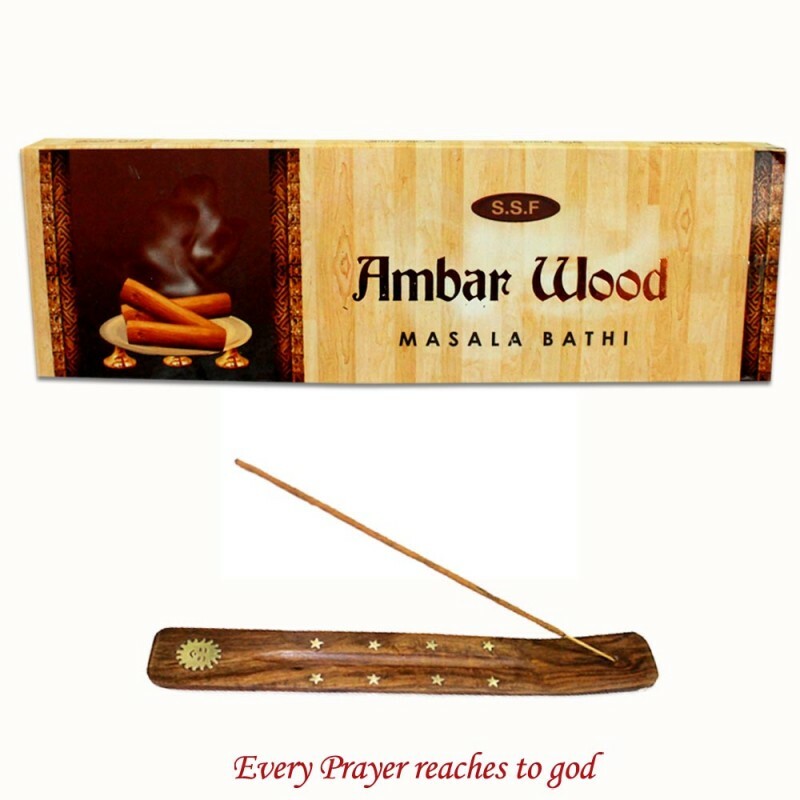 SSF Ambar Wood Bathi is a hand-rolled, blend of ssential oils and fine resins. It has a rich amber fragrance accented with hints of sandalwood, patchouli and benzoin. Holder only one quantity: Made by wooden. Why Buy Incense from Poojashop ? Please email us at [email protected] for bulk requirements in temples, wholesale/retail shops.